One Year Lived, by Adam Shepard. I was recently fortunate enough to be contacted by fellow writer, Adam Shepard. Adam kindly sent me an advanced review copy of his new book, One Year Lived—and while I usually find myself not reviewing/promoting much of the stuff I receive (primarily because it doesn’t fit with my particular interests), a quick glance at Adam’s book and promo pack convinced me it was something worth sharing. Adam has been featured on NPR, CNN, Fox News, Today, and 20/20 and profiled in the New York Times, New York Post, Christian Science Monitor, and Atlantic Monthly. He currently spends his time empowering audiences to take initiative. His keynote speech What Will You Do Next? details strategies for capitalizing on both triumph and misfortune. Excerpt from One Year Lived. 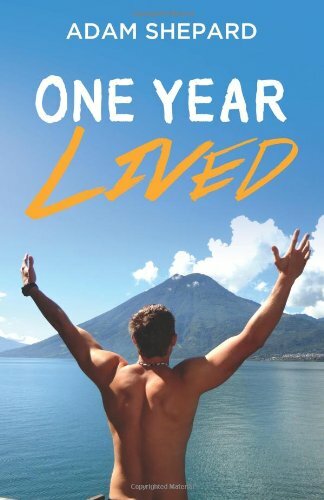 One Year Lived is now available in paperback and for Kindle.